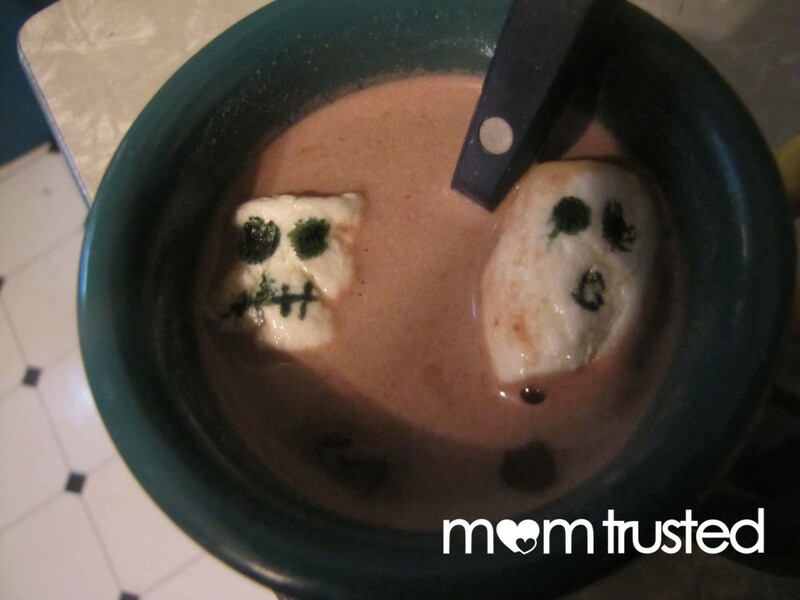 Make your fall drinks way ghoulier with these fun and easy Halloween marshmallows! 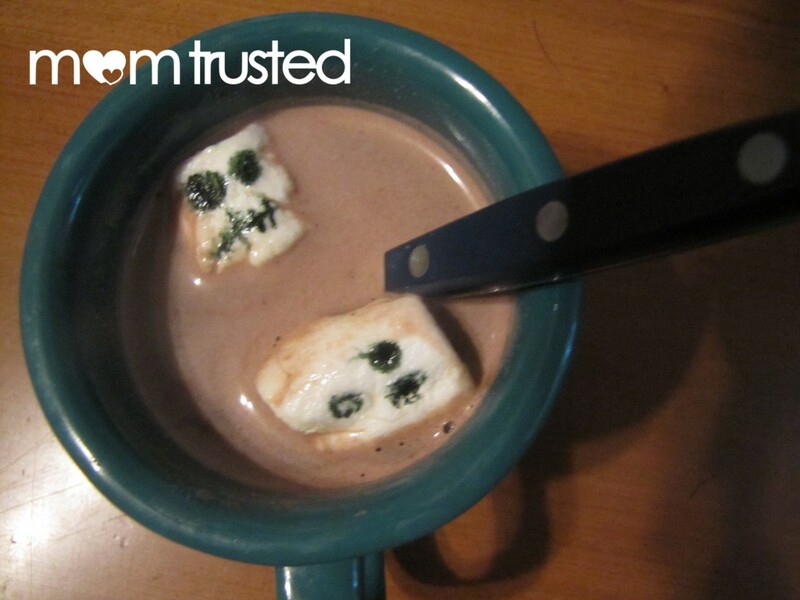 After cutting the marshmallows in half (which isn’t totally necessary, but means the marshmallows will float flat, or “face up” when they get put in the cocoa (a round marshmallow will spin, and might flip over, leaving your ghost-face unseen). 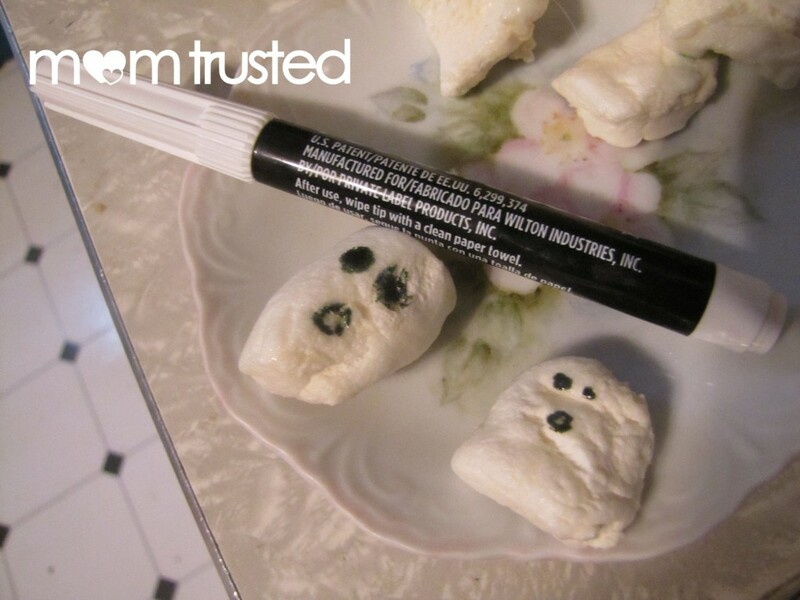 Let your kids use the black food-safe marker to make spooky ghost faces while you boil water for the hot chocolate. 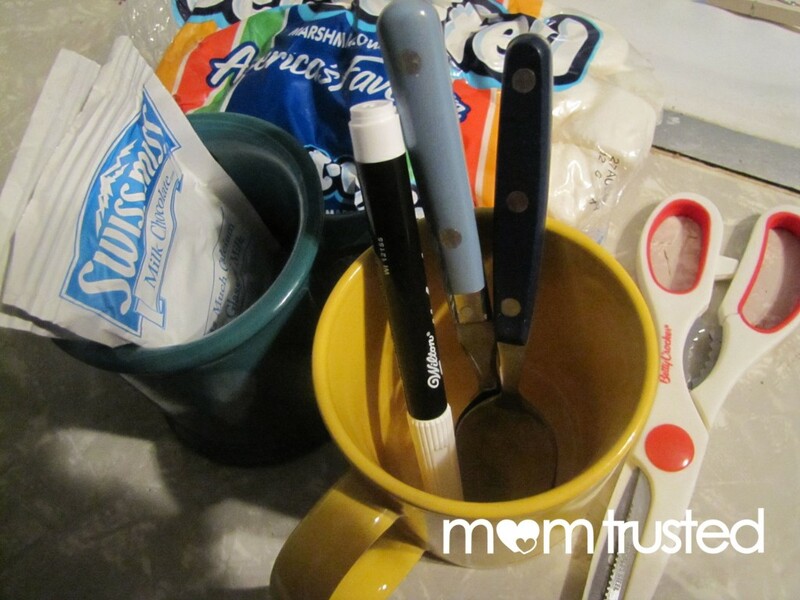 Mix it up to your liking and let add the marshmallows. Your hot chocolate will be instantly most festive!